Disclaimer: We received complimentary skiing and tubing, but all opinions are my own and I want to move into Sunshine Mountain Lodge. Seriously. 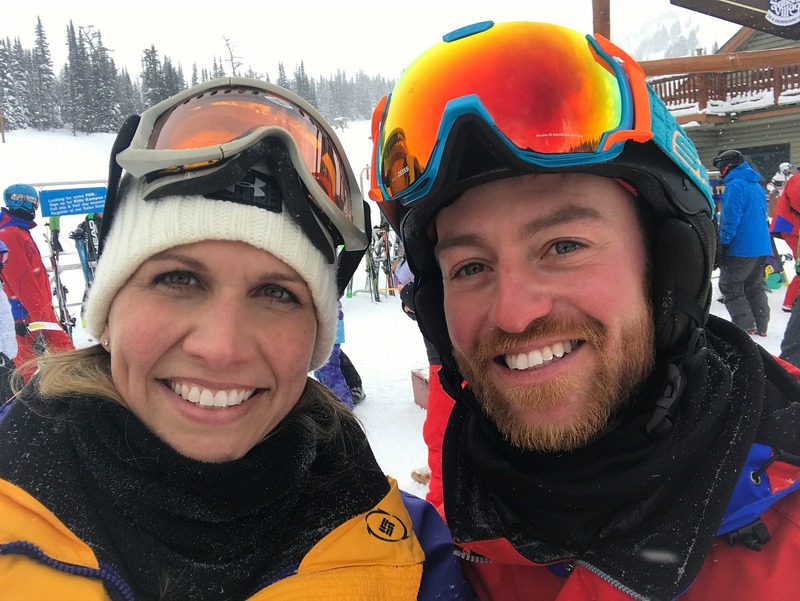 Is Sunshine Village hiring? 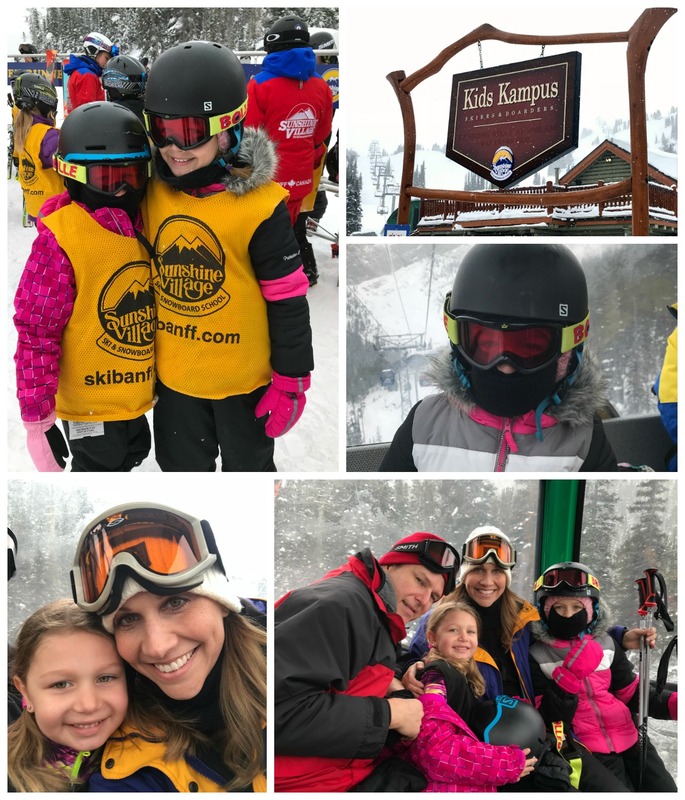 Looking to take your family on a skiing adventure? So were we! My husband and I originally had planned to visit Banff in Canada for our 15-year wedding anniversary alone, without the kids. 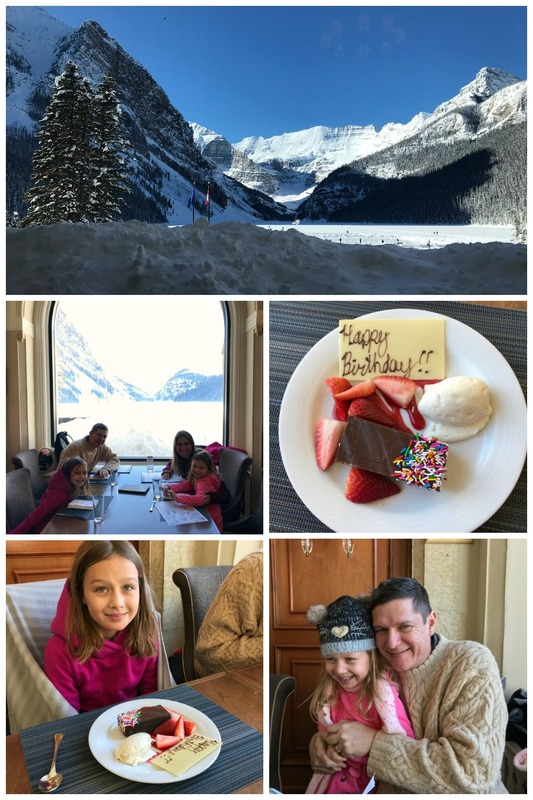 We dreamed of hiking around the famed Lake Louise, breathing in the cool mountain air, and sipping hot cocoa by the fire. But Hurricane Irma derailed our plans and we rescheduled for February during ski season with the kids. 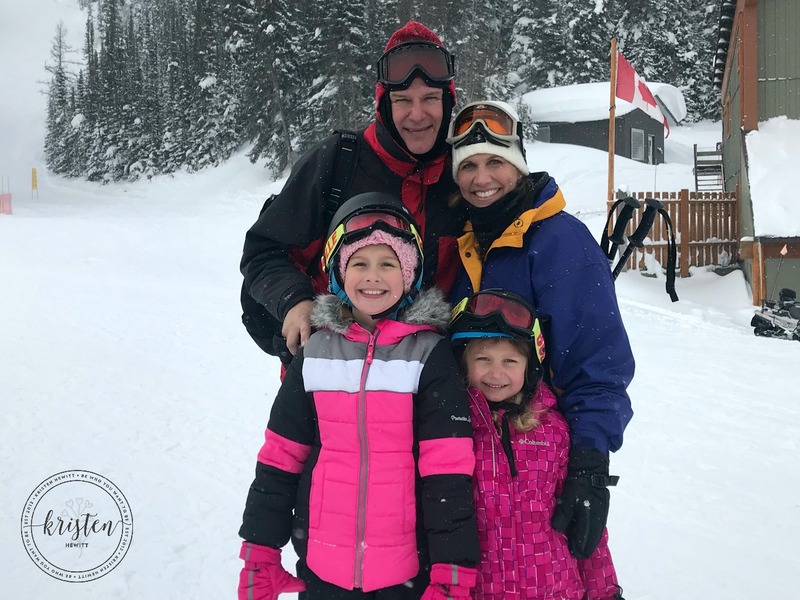 Though it’s a long way from Miami, we are so glad we went because Banff is perfect for family ski trips. Nestled in the Canadian Rockies about 90 minutes from Calgary, Banff is the most beautiful ski town we’ve ever seen. 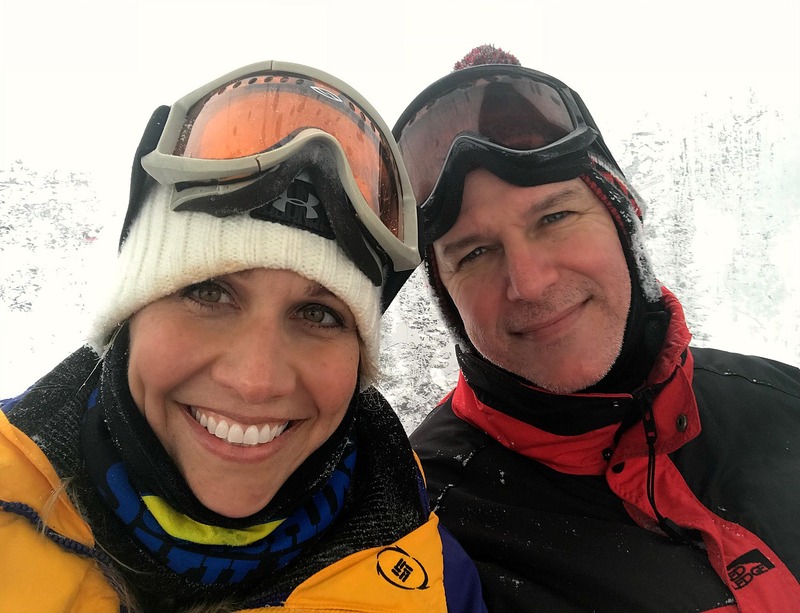 Though we love the Rockies and skiing in Colorado, the rugged landscapes and scenic backdrops were like nothing we had seen before. 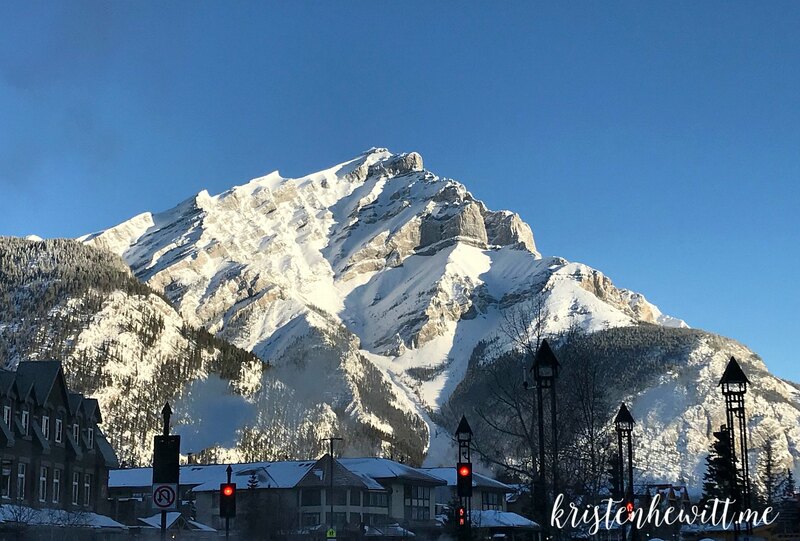 The town of Banff and three ski resorts actually reside inside of Banff National Park, which is over 4100 square miles of mountains, glaciers, forests, and gorgeous alpine landscapes. 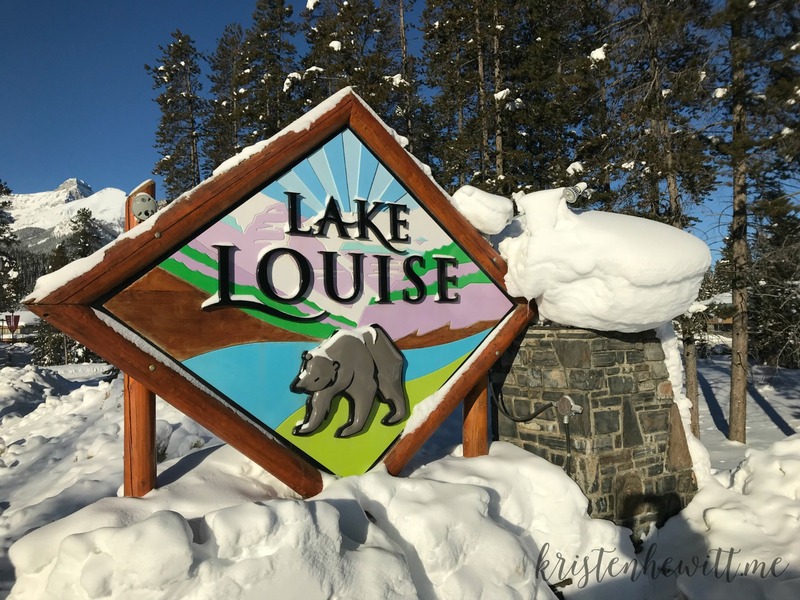 When researching the area we came across Ski Big 3, which enables you to explore and ski all three resorts of Lake Louise, Mt. Norquay, and Sunshine Village. 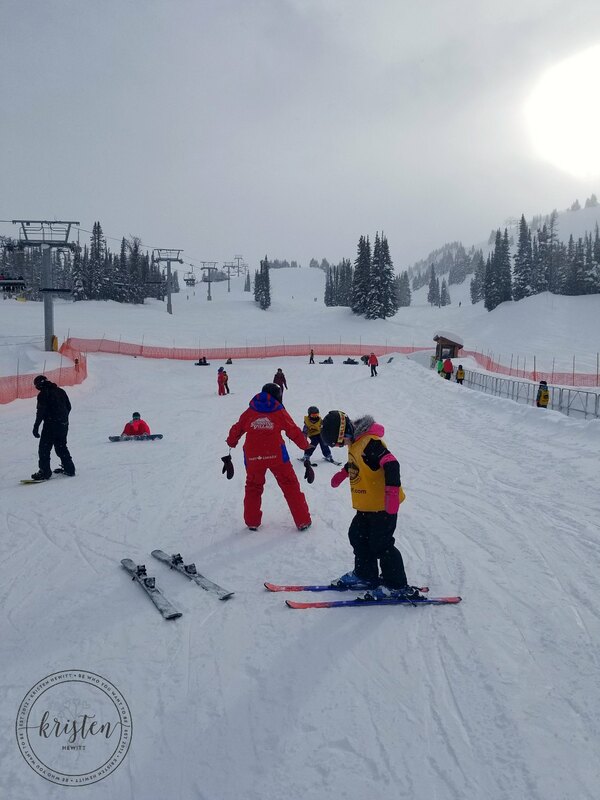 But we decided to spend most of our time at Sunshine Village, as it seemed the best terrain suited for kids. And boy are we glad we did! Once we got to Sunshine Village, we found the Kids Kampus and the girls met their instructors. 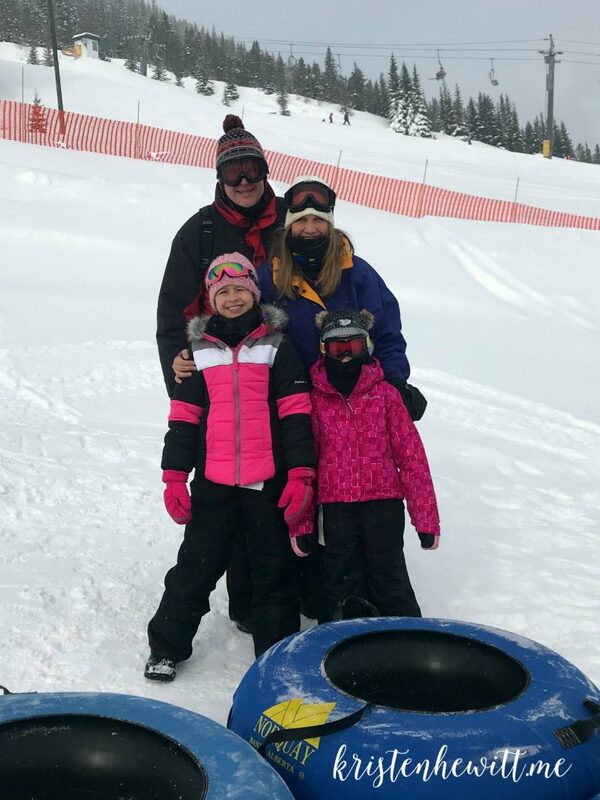 It was hard for these Florida girls to get the hang of mittens and hats, but they sure loved the snow! I’m serious, they looked like little polar bear cubs rolling around in it for days. I think the high temperature was zero on the first day of skiing, and they rocked it! 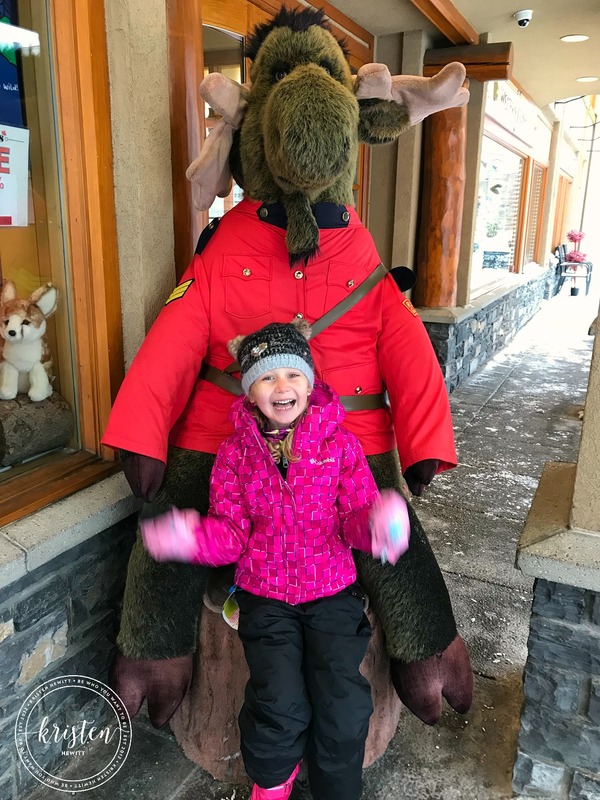 Check out all the family fun you can have @SunshineVillage! If you’re worried about snow conditions, there is no shortage of snow in Banff. The powder was so light and fluffy and it didn’t stop snowing during our first few days there. But the white stuff didn’t stop us from having some fun! 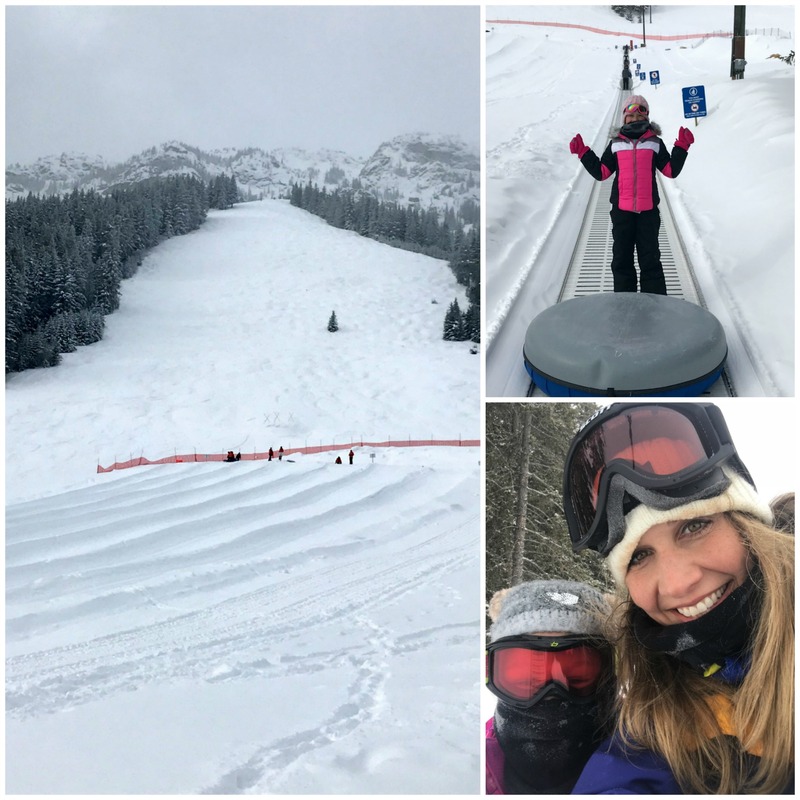 Sunshine Village offers Tiny Tigers Daycare (for younger kids ages 19 months to six-years-old), private lessons, and group lessons, which is where the girls went. Once they got the hang of it, they loved the magic carpet. Here’s a quick video showing some of our snow fun at Sunshine Village! 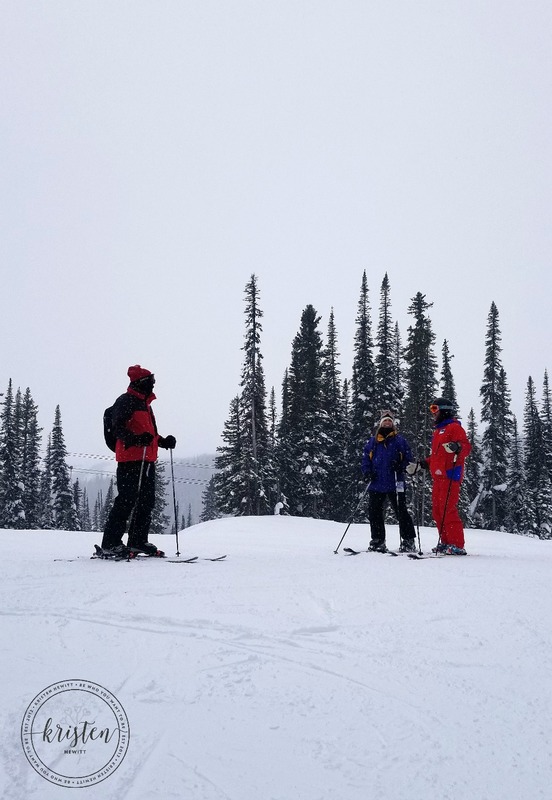 Bob and I also had an instructor accompany us while skiing – though we’ve been before there is always room for improvement. And it’s always nice to have a guide show you the best trails. The thing about skiing in Banff is just the vast openness of the mountain. Even though it was a holiday weekend, once we were up on the mountain it felt like we were the only ones there. 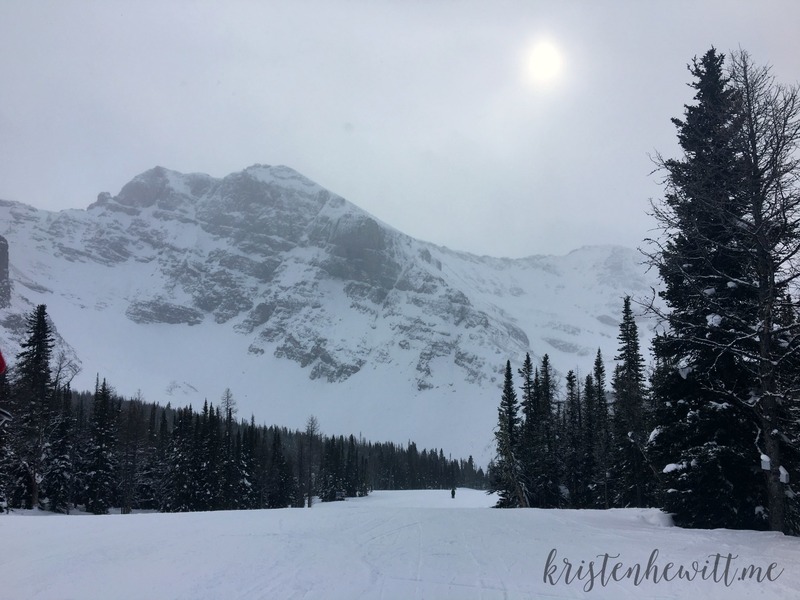 The mountains seem to kiss the sky, and even on a snowy day, the views are just spectacular. All you can hear is the sound of the snow crunching as you turn, the wind in your hair, and beautiful silence of the stillness around you. Because Sunshine Village is large with 137 runs that span in both Alberta and British Columbia, even full of skiers on a holiday weekend we rarely ran into crowds. Until lunchtime or the end of the day of course! My favorite lift was Goat’s Eye – when you go to Sunshine Village head up to the long blue run called Sunshine Coast. We may have skiied that run once or 12 times! I love those wide open runs where you can just go fast and absorb the scenery around you. After a long morning of skiing, we needed to rest our legs and recharge our phones. Who knew that cold weather would kill your cell phone? 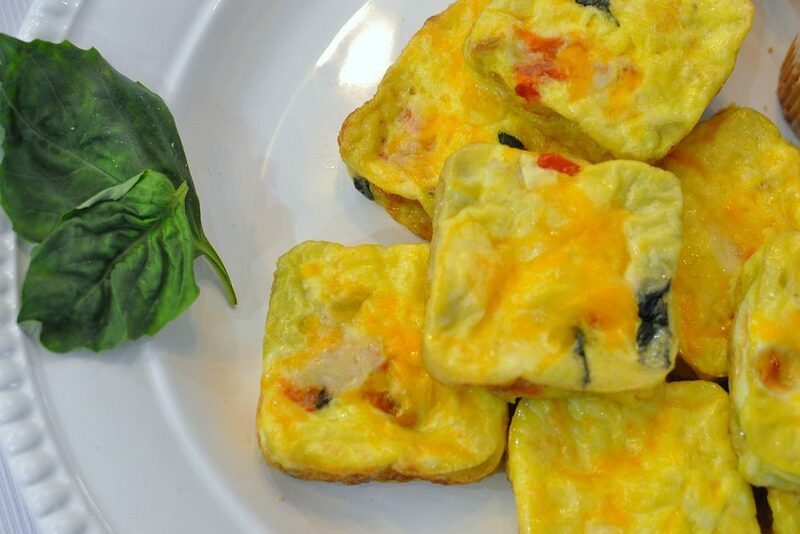 (#Floridaprobz) There are several restaurants to choose from when you need to eat, and three that are full-service. We loved the fireplaces at Chimney Corner Lounge! And had a feast at Eagle’s Nest. Highly recommend the buffalo cauliflower, wow! Everything was delicious and it was nice to warm up and refuel! For us traveling to the cold weather is such an anomaly. 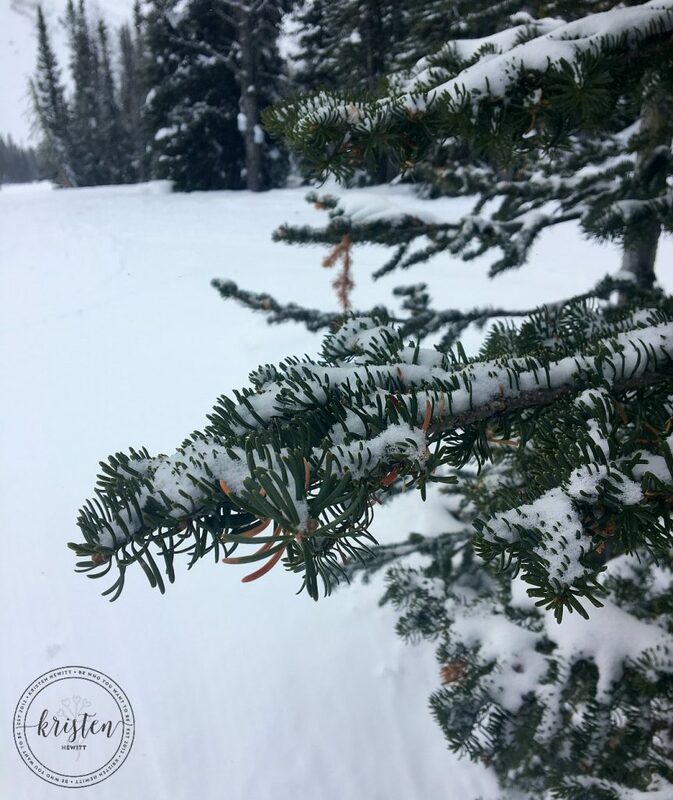 We rarely get to see snow-covered evergreens or even wear long sleeve shirts, so we really appreciate the little things. Like watching the snow fall from the sky, the views at the top of every chairlift. and making snow angels with the girls. Surprisingly the girls made it a full day of skiing and even asked to come back to the Kids Kampus for the 2nd day. Their favorite part was, of course, throwing snowballs at us, and Robbie, our kind and patient ski instructor. He was wonderful with the girls and I regret so much not being able to get a photo of the three of them. If you go to Sunshine Village, request Robbie, you won’t be disappointed! 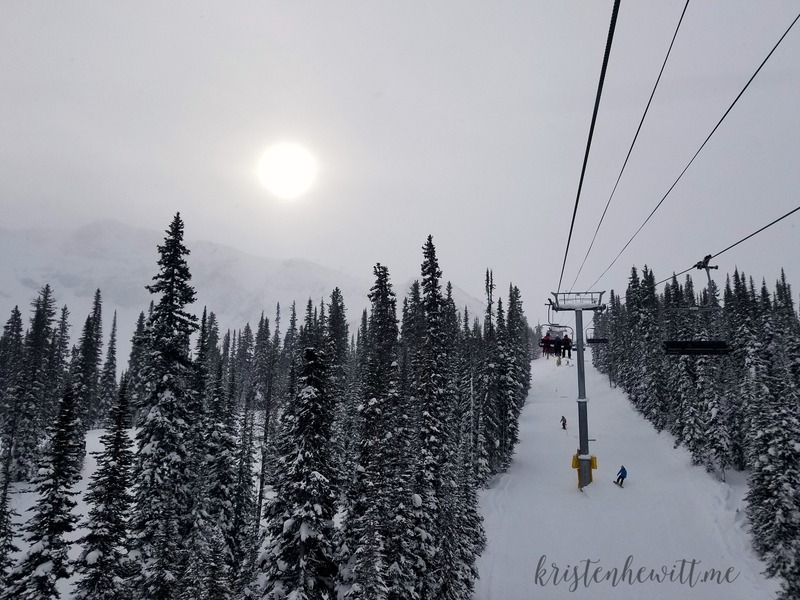 Sunshine Village is truly a winter wonderland. They have runs and lifts for every experience level, and the views are stunning. 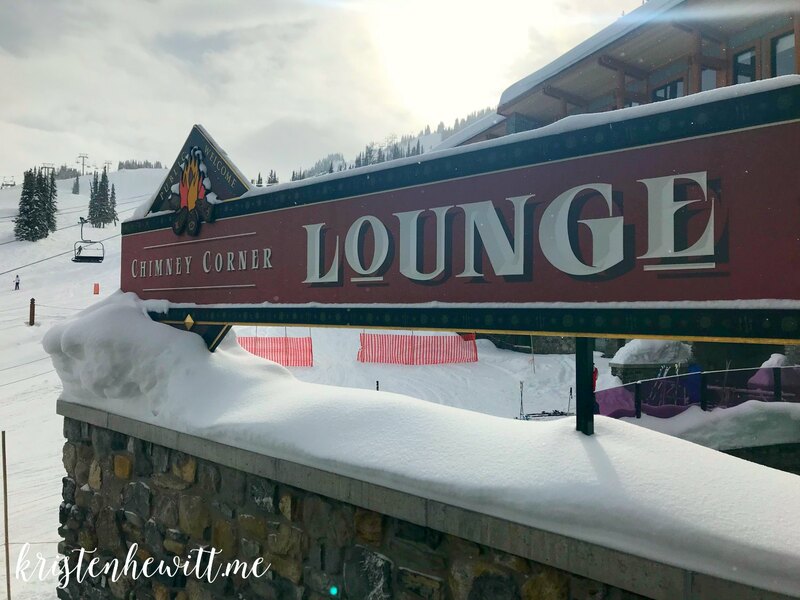 We’ve skied at several resorts in Colorado, Utah, Lake Tahoe, and Whistler, and Banff’s Sunshine Village is definitely on our list to return to. 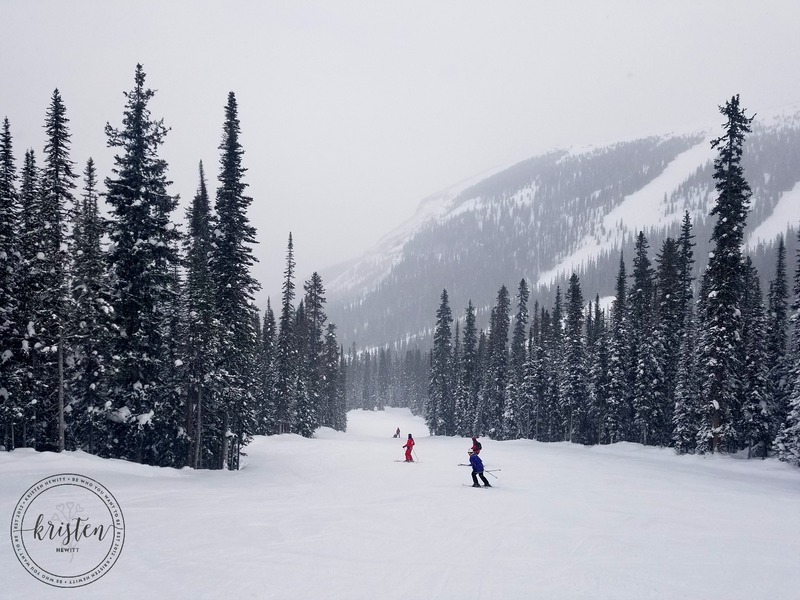 The snow is surreal, the runs are pristine, the staff is hospitable, the exchange rate is amazing, and the sheer size of the mountains are worth several trips back to Sunshine Village, during each and every season. In addition to Sunshine Village, we visited Mt. 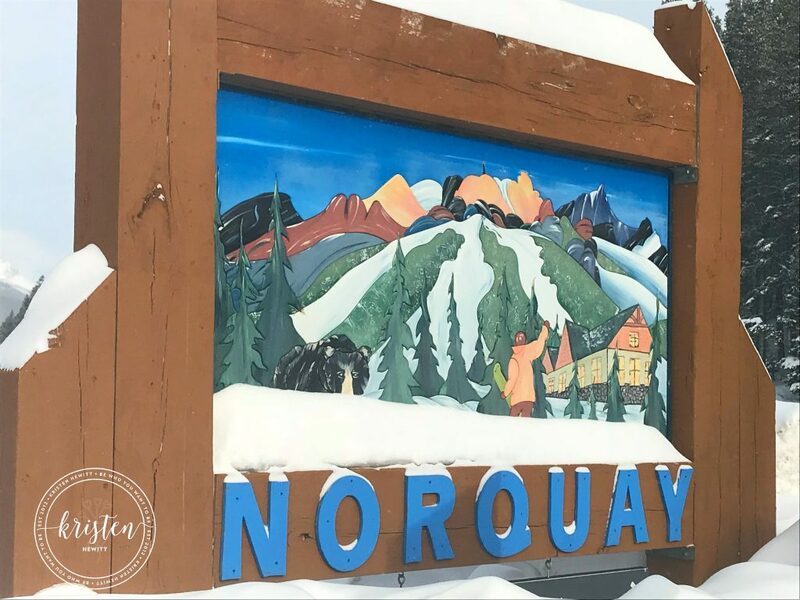 Norquay. 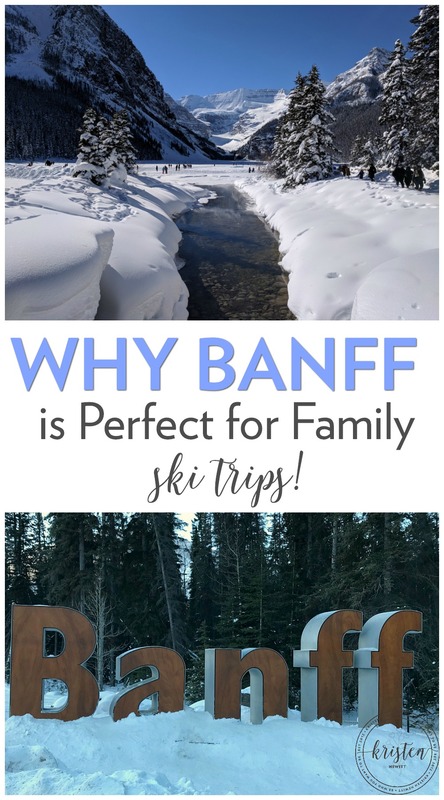 It’s another ski resort, they have sightseeing and an amazing tubing hill that’s perfect for a little family fun! I highly recommend getting there early to get a few runs in before the crowds arrive. But Bob and I were cooooold. I think it was -10 when we were there. When you depart the magic carpet you do have to hike up about 10-15 steps, so be prepared to get some exercise! The lanes though are nice and long and fast and the views, of course, are gorgeous! I’ve wanted to visit Lake Louise since I was 10 years old when I saw a picture of it in a World Book Encyclopedia. (yes I’m that old!) And it was just as breathtaking as I’d imagined! I did not edit this photo, unreal huh? 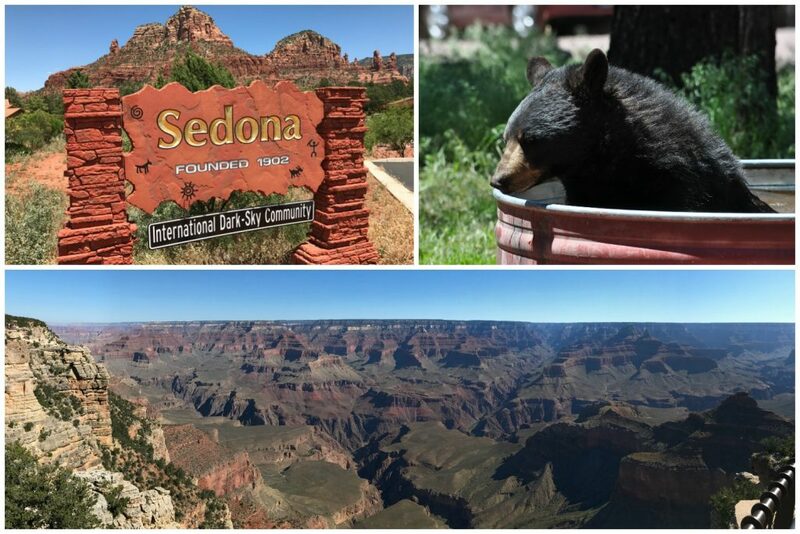 It was the last day of our trip and the drive over was a perfect bluebird day. 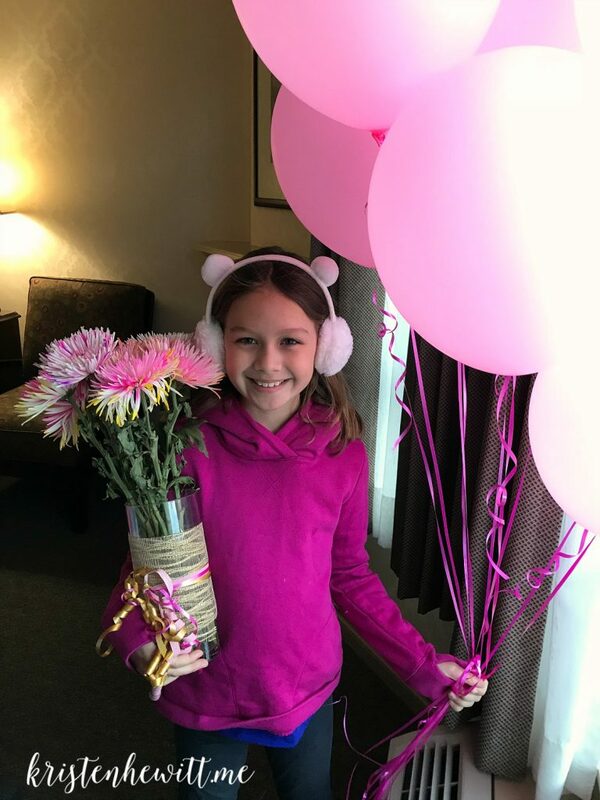 It was also our daughter’s ninth birthday so we wanted to do something special for her. So we went for a walk on the lake and explored the ice castle and ice sculptures. I still really want to see it in the summer, but this was really beautiful. And totally worth the 45-minute drive from Banff. 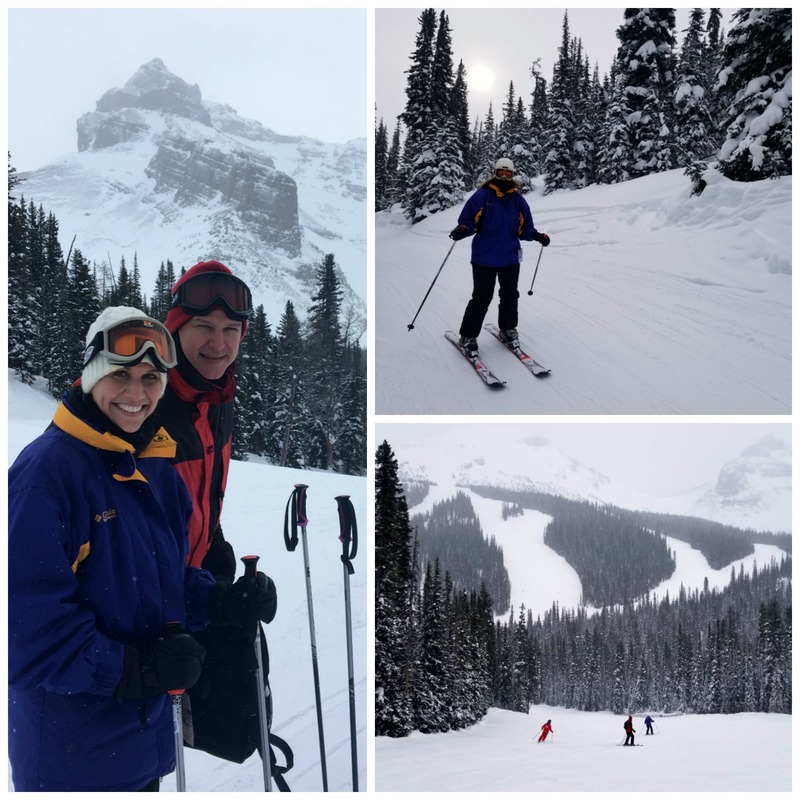 There is a ski resort at Lake Louise as well, and we heard the views are amazing! 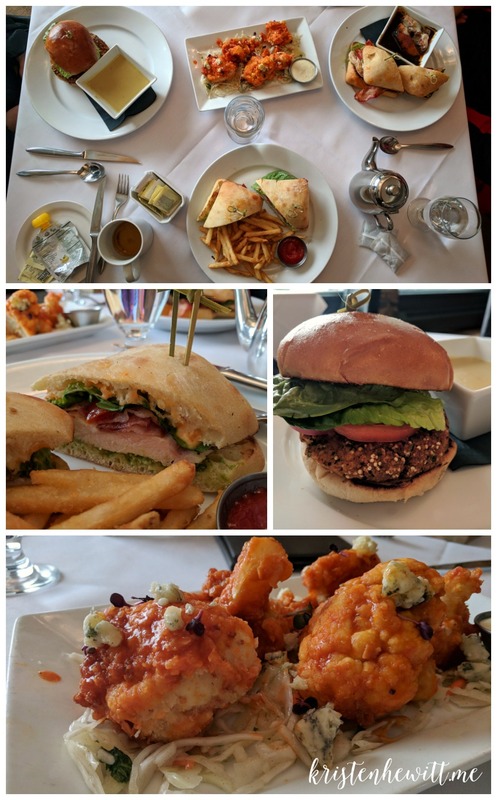 If you head to Lake Louise make sure to have lunch at their famed Fairmont Chateau Lake Louise. Arrive early and get a window seat. It was cold but worth the view. Also, a great place to celebrate the birthday girl! She’s nine-TWEEN now so too cool to be sung happy birthday to in public. We did it anyways! I may die from the Canadian cuteness in this picture. There are so many other things to do in Banff that we didn’t even scratch the surface. Tons of great shops, restaurants, a castle, and of course the natural hot springs. But in the four full days we had there I think we packed in a ton of snow fun. I can’t wait to check out Banff again in the summer, a hiking trip would be divine! A special thanks to the Sunshine Village staff for being so kind, generous, and welcoming. We honestly felt like we were home with family while exploring the Canadian Rockies. We couldn’t ask for a better way to celebrate 15 years of marriage. Sure we didn’t get that alone time, but we did have an adventure. And the girls are already asking when we are going back! For more information head to their website or Facebook page! And for more information on Mt. 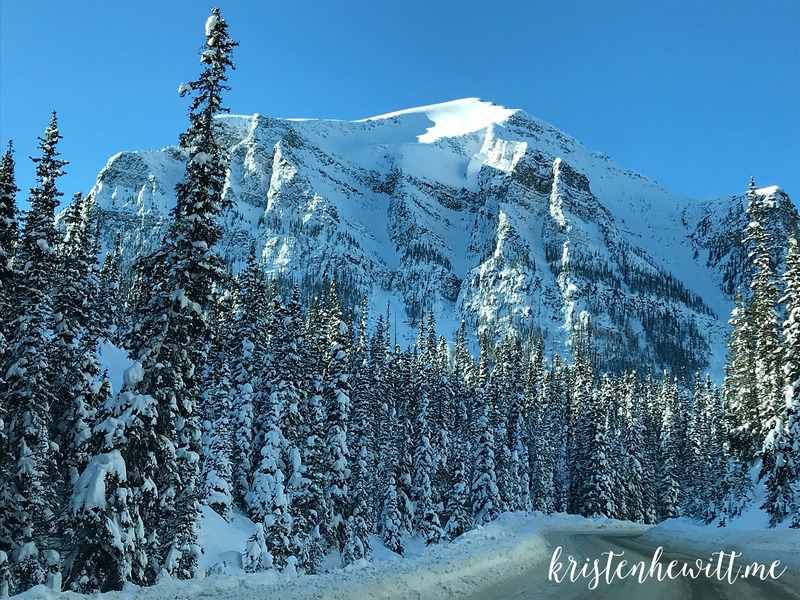 Norquay and Lake Louise, head to the Ski Big 3. 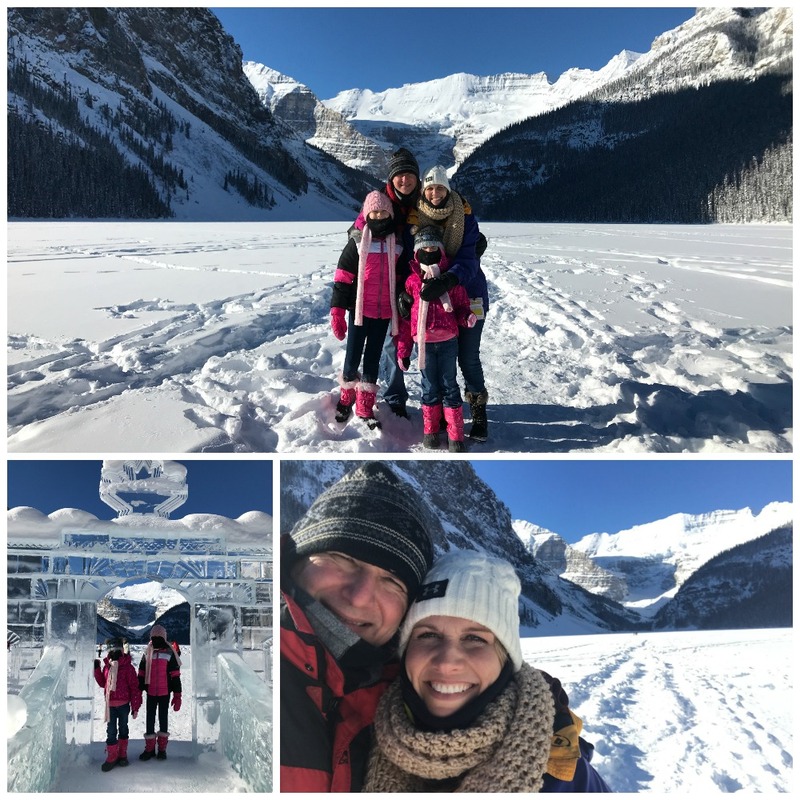 Hope you enjoy your trip to Banff as much as we did! If you liked this post please follow along on Facebook. 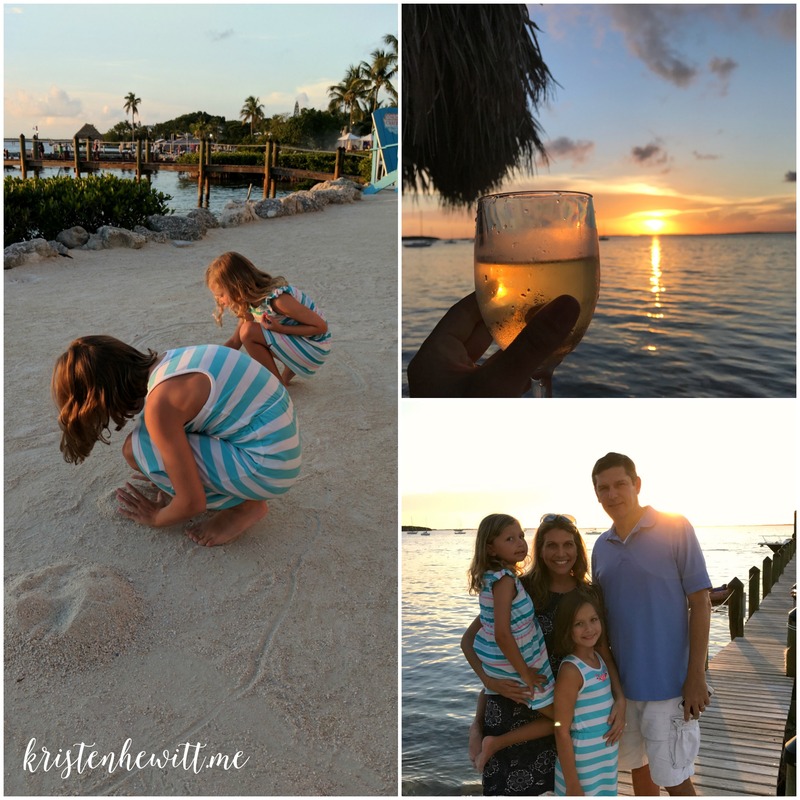 And check out more of our adventures like the Top 5 Things to do in Key Largo with Kids! The Top 5 Things to Do in Arizona with Kids! 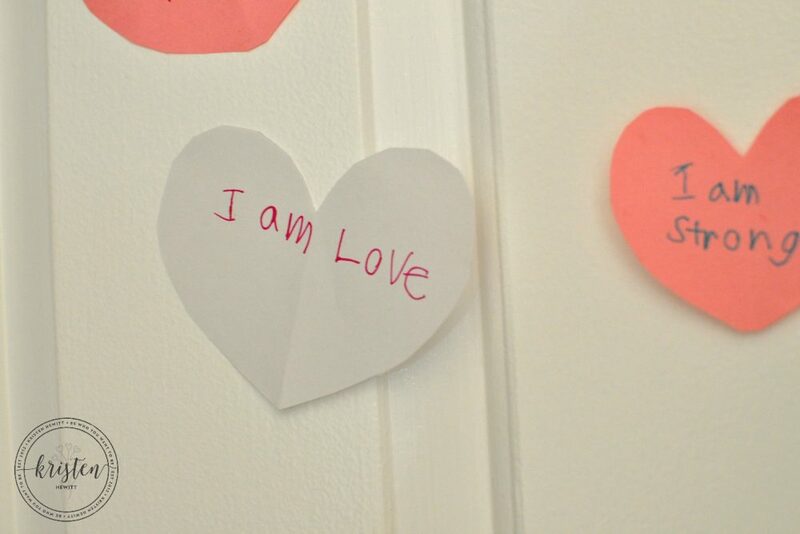 Or our Top 5 Things to Do in New York City with Kids! What a great time!! So glad you all had fun. 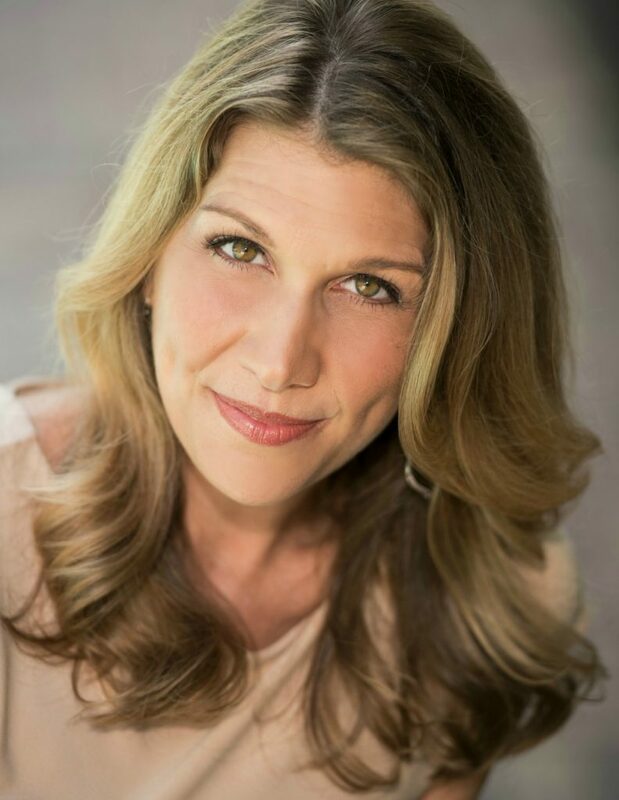 Thanks so much for sharing a bit of your trip and letting us see your beautiful family! Oh my goodness, this looks like such an amazing place! I am so glad that you guys had such a great trip! 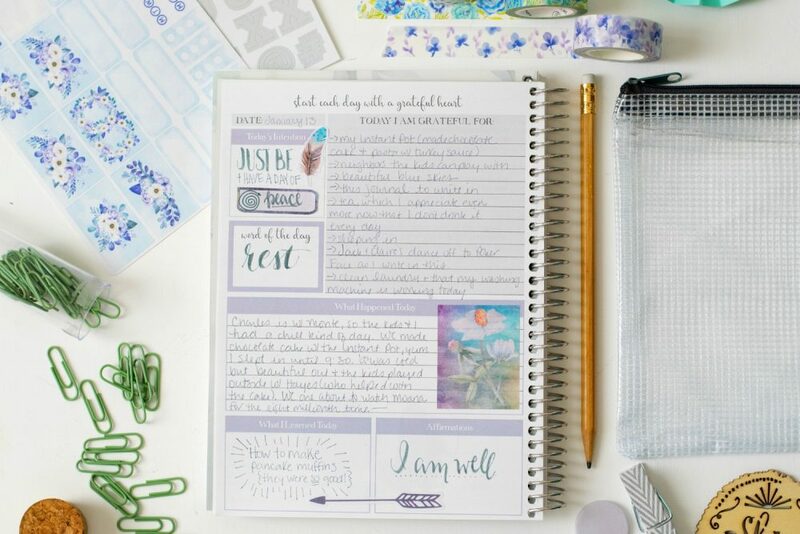 All of your pictures are simply breath-taking!